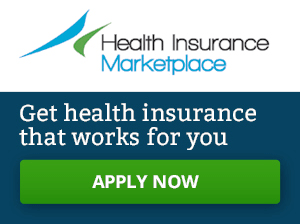 You are here: Home / Blog / Open Enrollment Begins Today! 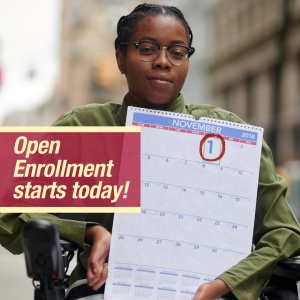 Open Enrollment Year 6 (OE6) begins today and if you’re looking for a promotional brochure to use for people with disabilities, check out the handout entitled “Time to Check Your Health Insurance.” This brochure was prepared by the Consortium for Citizens with Disabilities and highlights the issues consumers need to think about over the next six weeks and the critical dates throughout open enrollment. The brochure is also available on the Materials page of the website. The NDNRC also wants to make sure you have all the resources you need to be able to assist individuals with disabilities as they consider their options on the ACA marketplace. We have a Disability Guide which is meant to strengthen disability literacy, help you identify and provide appropriate accommodations and assist you in correctly identifying issues that are central to healthcare insurance for people with disabilities. The disability guide is also available for PDF download.